SUMMARY: For three of the last four years, Spring has been a bit of a full on time. In 2012 we missed it because we moved here at the start of December, in 2013 we married and went on a honeymoon over September and October, in 2014 Stanley was born late August making Spring a time of newborn babies, soiled nappies and sleepless nights. 2015 offered respite from this theme and then in 2016 we were rattled by cancer. That new moon before the equinox in late August/early September really symbolises a period of birth, rebirth or radical change. As wannabe urban farmers (non-commercial), that this moon doesn’t signal a time for planting or bed preparation has always been somewhat troubling for the plants. At the time we could best be harnessing warmer soil temperatures, more light, an influx of new bugs we are in an inward looking self-preservation mode. Failure is a recurrent theme on this blog—a failure to live up to my own abstract expectations about precisely how many hours I would spend in the garden each week and how much food we’d grow. I admire greatly the many people I follow in the “blogosphere” and on Instagram who are making a life out of this growing in a Western setting where it is not out of necessity but out of an idea of an ethical commitment to Earth. For me, in the tug-o-war between ethics and necessity, necessity seems to win out. Whereby necessary nutrients are delivered easily by fossil fuels to the shops and purchased by me, and necessary other obligations such as the call of a newborn baby now toddler, the call of a body suffering from serious (albeit currently curable) disease trump my desire to pay ethical attention to the garden. This farm was never designed for subsistence living. It was designed to figure a way to interrupt the system of living that was handed to us (mortgage, supermarkets, cars, 9-5) and to make a different kind of life. It’s a hard thing to rupture in the city. Now, I also think this is partly a well-theorised series of excuses: “Woe is me! It’s the system that stops me from watering the garden” “Life’s too busy for me be ethical” “It’s easier to go to the shops” “I couldn’t possibly spend more time in the garden”. But at the same time I also think it is a symptom of commodification of life in the city. If you are not making business out of garden in some way, and if you are working at parenting and making ends meet the necessarily garden suffers. The perversity of the system shifts what counts as necessary. But despite all this, the garden/farm is still growing. We even didn’t get any extra help from the rain this spring, so while I was in hospital and Craig was bringing me supplies and companionship, the weather didn’t buoy along the seedlings. They withered and dried. But things still continued. I suppose, in summary however, I’m quite glad we weren’t relying on the garden this spring for our sustenance. Our family would have been pretty hungry. But at the same time, we don’t want to give up on retraining ourselves to live differently. ASPARAGUS: Planted in early 2016, the Asparagus is proliferating quickly. We have been told that it can grow like a weed. It doesn’t stay contained. I like asparagus a whole lot so I hope that I still feel like this next summer when I suspect the plants will bear the most fruit. BASIL: We’ve always had “good luck” with basil in that they’ve never been taken over by slugs, often times they self-seed and crop up around the garden. 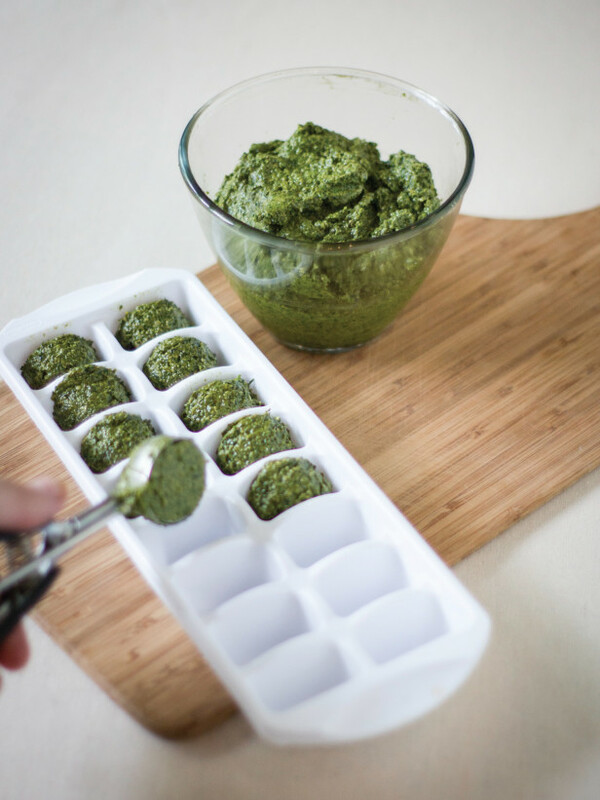 I’ve always been able to use it consistently throughout summer and then freeze it in ice cubes to extend the fresh-basil cooking season into late Autumn. This year, with everything, I didn’t get to planting seedlings. Last week I bought some small basil plants from the grocery store (we boycott Woollies and Coles, unless in an extreme pinch – we mostly shop at local green grocers and buy in bulk from Honest to Goodness). Anyway, buying basil seedlings was an index of how the seedling growing had just kind of slipped away. BIKE SEAT: We got a different kind of bike seat for Stan. I just wanted to include as a marker for our own memories of his growing up. And that even through it all he still keeps growing, unstoppable and cute. BREAST CANCER: This was the real “curve ball”, so to speak, in 2016. A diagnosis with early stage disease in mid-August and major surgery early September, follow up early October. This has marked my life and body in indelible, irreversible ways. What I’m finding right now, strangely enough, is that this sense of being cast out of the garden once and for all, being shaken out of habitual personal Edenic fantasies to return to a time before—before the responsibilities of adulthood kicked in, before a period of ill health, before I decided on a career that has little job security and has only just started to earn me a semblance of above minimum-wage income—means that I am more thankful for life as it is now. This “positive” or, at the very least, surprise is something my surgeon, Dr Warrier, blogged about. It is kind of true, cancer has given me new relationships, a new understanding of medicine and my body and an acute sense of what matters most in life. CAMPERDOWN COMMONS / PEDAGOGY: I teach ecocriticism at NYU Sydney and we read Carrie Tiffany’s Everyman’s Rules for Scientific Living, a work of historical fiction (historical cli-fi?) set in the Mallee bioregion about the arrival of Green Revolution agricultural technologies in Australia. We spent the seminar at the Camperdown Commons/Pocket City Farms discussing the novel’s form and content and the similarities and radical differences between this period in agricultural history and the turn to farming in the city. The main question was, I suppose, how does our interpretation of the period represented in the novel refract through this contemporary context and vice versa? In the past this has been a trip the Earlwood Farm, but it didn’t work out that way this semester. It was a nice change. COMPOST TOMATOES: One of the perks of having been at a single garden for a while is that there are seeds in the ground and sometimes they just germinate, just like that. Nowhere is more reliable in this regard than the ground around the compost bin; it is damp, nutrient rich and seedy. Given we’ve been away lots this year, that the tomatoes just decided to do their own thing is pretty great. At least we’ll be able to colour a few salads with these red and juicy morsels. COMPOSTING: Professionally, I’ve been working with Astrida and Susie on a reading group called Composting Feminisms and Environmental Humanities. This takes composting as a material metaphor for a method and conceptual framework for a feminist environmental humanities scholarship. I often think about my gardening in relation to composting. The awkwardness of and complications involved in trying to live out research questions. At the same time, that I have the luxury of being able to experiment across the board with life and its structure and with work and its contents is an extraordinary thing. Something I’m grateful for everyday. FUTURELANDS: A camping/conference/convention in Kandos, run by the Kandos School of Cultural Adaptation. The conference focused on alternative kinds of agricultural processes and practices; new modes of living on the land in non-urban areas. Bruce Pascoe (pictured speaking below), author of Dark Emu (an important study of indigenous agricultural techniques, debunking the myth and thus challenging the cultural implications of a hunter-gather society) was a keynote, as too were Kirsten Bradley from Milkwood and Meg & Patrick from Artist as Family. We camped out at Ganguddy (swimming hole pictured below). I thought a lot about the differences between city life and country life (which is a theme not altogether foreign to this blog). GARLIC: We tried again to grow garlic. It was more successful this time around, but still suffered from the dry spring. We also wonder about the soil quality in the raised beds. Things generally tend to grow better in the ground proper. Don’t meditate to fix yourself, to heal yourself, to improve yourself, to redeem yourself; rather, do it as an act of love, of deep warm friendship to yourself. In this way there is no longer any need for the subtle aggression of self-improvement, for the endless guilt of not doing enough. It offers the possibility of an end to the ceaseless round of trying so hard that wraps so many of our lives in a knot. Instead there is now meditation as an act of love. How endlessly delightful and encouraging. POTATOES: As with the garlic, we aren’t sure about soil quality in raised beds. Craig is working on rectifying this by turning towards a biointensive model he read about on the Milkwood blog (such a great resource for all us budding permaculturists). We’ve had big potato hauls here in the past, this year with the dry and, perhaps, not great soil, the potatoes didn’t really survive to rhyzomize (?!) through the soil, even though in the image below they look promising. We’ll try again. SHADE CLOTH: Craig has a new strategy which is linked to the biointensive model he’s using to build soil health by covering it with shade cloth. Good for summer, traps moisture and heat. Below is a bed before and after being tilled and used for growing summertime leafy greens. This method is slowly taking over all the beds, so if it does work we will report back and I’ll get him to reference the model properly. This entry was posted in Gardening, Reflections and tagged asparagus, basil, breast cancer, compost, field notes, futurelands, garlic, meditation, potatoes, shade cloth, spring. Bookmark the permalink.